“You’re just like your father– nothing was more important to him than the appearance of his articles!” was the gruffly nostalgic remonstrance of Gamini Weerakoon, at the time the Editor of The Island, at the German Reunification Day reception the year my father died, when I asked why my same-day response on Antonio Gramsci (to Malinda Seneviratne) had not appeared the day after I’d sent it. 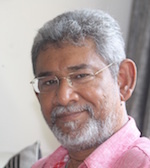 My father Mervyn de Silva, founder-President of the Editors’ Guild of Sri Lanka, in whose honour the apex award “Journalist of The Year” has been named by the Publishers Society and the Editors’ Guild, had been the best known columnist of The Island since its inception right up to the day of his death thirteen years later, as a regular commentator on International Affairs (he reported on the Reagan re-election in ’84) and as Kautilya (“Men & Matters”). His last column appeared in its regular slot while the paper’s front page ran the story of his abrupt passing. I began writing, but not with regularity, for the paper from 1998 but became a regular contributor after my parents died. In the tradition of Albert Camus’ newspaper Combat, published during the French Resistance against Nazi fascism and in opposition to the collaborationism of the Vichy regime of Marshal Petain, The Island was the paper that led the battle of public opinion in the English language, against Tiger terrorism and defeatism. I was privileged to have been quoted in a front page editorial during the dark days of year 2000 when Elephant Pass was almost overrun and liberated Jaffna stood threatened with re-conquest by the separatist fascist army. I was to appear a few more times in its front page editorials later, during my stint in Geneva. The Island battled against appeasement during those disgraceful years of the CFA and the PTOMS which Maj. Gen. Kamal Gunaratne has described as far more humiliating than the bloodiest battlefield defeats. Writing frequently, I was a guerrilla –a sniper–in this “battle of ideas” (to use Jose Marti’s phrase globalized by Fidel). Somewhere in the Island archives is an article by me, improbably but utterly confidently entitled “Why Prabhakaran Will Lose”, dated Oct 17th 2004, well before Mahinda Rajapaksa was elected President, Gotabhaya appointed Secretary/Defense and Sarath Fonseka made army chief. The Island was a newspaper that stood for certain values. The stance that The Island adopted, as it had to “suffer and survive the agonies of these times, its frenzied passions, cruelties, deceits and lunacies” (Mervyn de Silva, 5th anniversary message) is best described as a “critical patriotism” or what Prof Robert Reich recommended in an op-ed in the Financial Times (London) as “responsible nationalism”. After Sri Lanka’s resolution at the Human Rights Council won a majority of votes at its special session The Island wrote a front page editorial entitled “Victory over Diplomatic Terrorism”. When there was an attempt in Colombo to remove me from Geneva in Feb-March 2009, before the war had been won and before the Western resolution was moved, the Island published pieces throughout February and March arguing against such removal. On Thursday March 17th 2009, it featured a pix of me on the paper’s masthead to accompany a story captioned “Let’s Not Lose Our Best People’, which shows the vicious pressures from the home base under which we had to battle at the Geneva frontlines. Had the coup succeeded, Sri Lanka would not have had me in place when US Secretary of State Hillary Clinton’s cabled instruction of May 4th 2009 came in, the coalition that had been built over two years in Geneva would have been confused, and whoever the new Ambassador/PR who came in would have not had time to find his or her feet when the West’s resolution hit us. Worse still, a pro-Miliband collaborationist Ambassador who enjoyed the favor of the ruling clan and was serving in a nearby capital (and had already boasted that in 2008 that she would replace me, which she later did) might have been moved to Geneva before the Western offensive thrust. We can only conclude that whether they knew it or not, highly placed and responsible elements in Colombo, and/or based in foreign capitals while purportedly representing Colombo, were working against Sri Lanka’s wartime interests and in the interests of the Western move. A highly placed pro-Israeli lobby in the Sri Lankan state was played for suckers, believing that Tel Aviv would use the Jewish lobby to turn Washington around on Sri Lanka’s war-crimes issue. 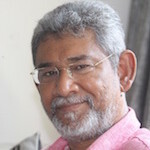 They should have read Mervyn de Silva’s analyses in the Island of the strong ties and indeed identification between Israel/the Zionist lobby and Tamil nationalism dating back to 1958. It was in The Island the very next day after our diplomatic victory in Geneva on May 27th 2009 that I posed the question in my opening sentence: “Was Geneva the last battle of the Thirty Years (hot) war, the first battle of the next war – a global Cold War against Sri Lanka — or was it a combination?” (“With a Little Help from Our Friends”, The Island, May 28th 2009). It was also in this paper that Malinda Seneviratne and I debated the 13th amendment, a debate in which I upheld the officially stated—at the highest levels—position and commitments of the Government of Sri Lanka, a stand I not only agreed with and had long held, but thought imperative to maintain the equation with India which helped us balance off the West and its call for wartime accountability, and also amounted to the cheapest price to pay, stopping devolution qualitatively short of federalism. Reneging would cause our wartime global coalition to unravel, rendering us vulnerable to Western pressure especially with the US and India drawing closer, I argued. The day after the polemic in the pages of the Island ended, I was fired. Today when the federalization project is within our gates and Special courts are lurking outside them, the reader is free to judge whether I was right. “…Dayan was posted to Geneva to do a job for this country and he has done it in style. Neocolonial powers, having laid ‘siege’ to Sri Lanka were all out to scuttle her war on terror when Dayan was sent to that diplomatic outpost to hold those sinister forces at bay. When the going gets tough, it is said, the tough get going. So naturally Dayan got going in Geneva and facilitated this country’s successful military campaign to eliminate terrorism. His performance a few weeks ago at the UNHRC special session in Geneva, where an attempt was made to press war crimes charges against Sri Lanka, was sterling. He was instrumental in helping her turn tables on Western powers smarting from their failure to save Prabhakaran and his killers. Dayan the diplomat has always defended the national interest with the tenacity of a bulldog. It was ignored in the mood of hubris. The protective outer wall of the Sri Lankan military victory and of the Sri Lankan state was breached at its furthest periphery, Geneva. Whenever this newspaper’s impassioned call, urging or warning went unnoticed or unheeded by the rulers, national and state interests suffered a grave setback. Those who were responsible for those sins of omission are still paying the price, as are the military, the nation and the country.